Imagine my surprise when I got this call from a parent a couple years ago We don’t allow campers to have cell phones at camp so how did she know her son was having an asthma attack? The camper it turns out was not having an asthma attack, he just didn’t want to participate in an activity and texted his mom to try to get out of it. On June 29, 2007 the first iPhone hit store shelves. The year before, a mere 64 million smartphones were sold worldwide. By 2016 that number was 1.5 billion. In that same decade, Facebook grew from 12 million exclusively college student users to more than 2 billion users from every walk of life. The combination of smartphones and social media has revolutionized the way we interact with each other and the world. With the advent of this new technology, like radio and television before it, the debate is on to determine if this new technology is ushering in the utopia we dream of or if it marks the beginning of the end for human civilization. At the center of this debate are our children and how technology and social media impact their development and ability to thrive. They are becoming more tolerant and accepting of those who are different from them. They are becoming more risk averse. They expect quick answers to their questions or solutions to their problems. As a parent of two young daughters I am encouraged that young people are becoming more accepting of people who are different from themselves, but I am very concerned about the other three findings. I fear we are cultivating a generation who expect every problem to be quickly (and painlessly) solved, who won’t push themselves out of their comfort zone, and will run back to the shelter of their parents at the first hint of difficulty. I don’t want that for my daughters. I want my daughters to be fierce. I want them to have the confidence in themselves to explore something new: new foods, new art, new places, new people, to new ideas, and more. I want them to tackle the impossible problems of this world, and the inevitable struggles in their own lives, with the faith and supportive community that encourages them to persevere and eventually makes the impossible possible. Yes, I want to have a strong relationship with my daughters throughout their lives, but I cannot protect them from all the hurt in the world, and if I try to, I have ultimately done them a disservice. What I can do is love, advise, encourage, and help shake the dust off when they fall down, or get knocked down. Climbing up and standing on top of a 30-foot telephone pole takes courage, and definitely gets your heart pumping. When you are then instructed that the way to get down is to trust your belayer and jump off the top, that is controlled risk taking which builds trust and confidence that won’t be forgotten once camp ends. 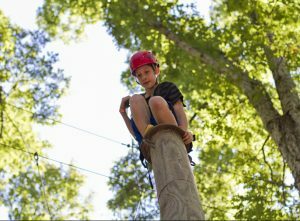 Under the supervision of trained staff camp, activities like high ropes, rock climbing, canoeing, and kayaking allow young people to push themselves and learn they are capable of more than they thought possible. On the first day of camp a group of mostly strangers forms a new community. One of the first acts of this community is to create a covenant affirming to how they will live together for the week. Bringing together a group of diverse individuals and putting them in an immersive experience will inevitably lead to some conflict. At camp you can’t ignore, block, or unfriend someone to avoid conflict. Conflict must be worked through. Some conflicts are large, and some are small, but under the guidance of trained and caring counselors this conflict can be worked through and the skills the campers learn through that process will inform them when new conflicts arise. I often tell nervous parents that “no news is good news” when it comes to camp. If campers have immediate access to parents and friends who are not at camp with them, it prevents them from fully engaging with the community they are a part of for the week. For instance, if there is an issue at camp we want the camper to talk to their counselor who can help them work through the issue, not text Mom or Dad. Mom or Dad may be able to help the camper, but all too often the response is to try to solve the problem for the camper or remove them from the situation instead of working through it. This does not help the camper grow and fails to use the best resource available: the camp counselors who will have a clearer picture of the problem and can have the most immediate and lasting influence on the situation. Does camp really have an impact? Yes! I could share endless stories, including my own, about how camp has a positive impact on the development of young people, but having hard data to back it up has been harder to come by—until now. A new and ongoing study called “The Effective Camp Research Project” has been able to put numbers behind the stories camp professionals share. 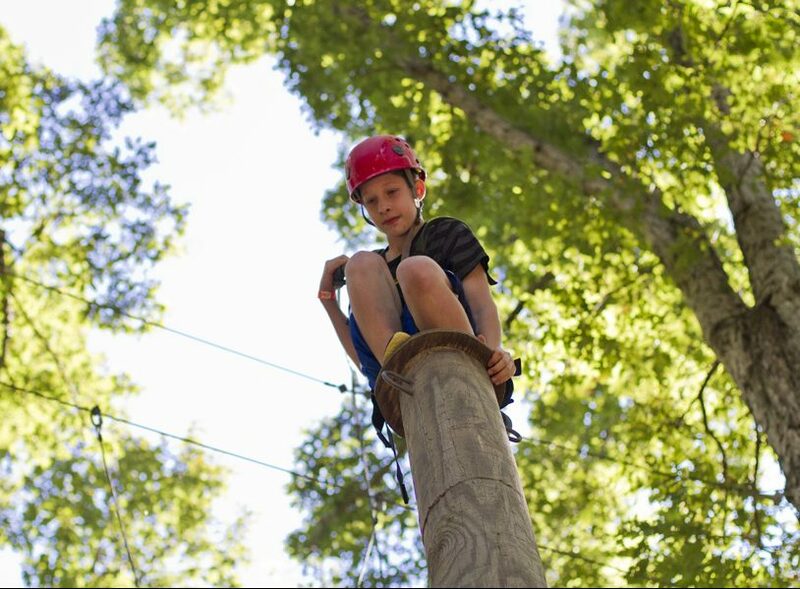 92% of campers agree/strongly agree they had tried something new while at camp. 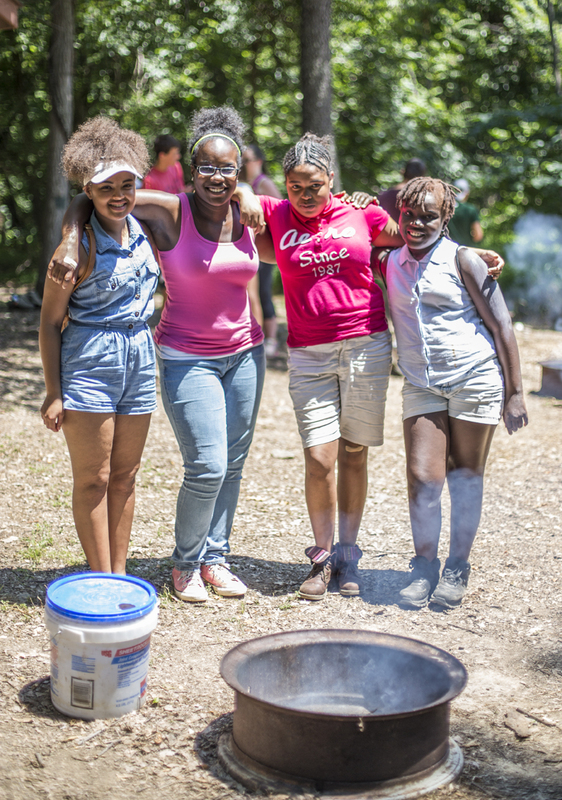 81% of campers agree/strongly agree camp had helped them become more independent. 81% of campers agree/strongly agree they had more self-confidence after camp. 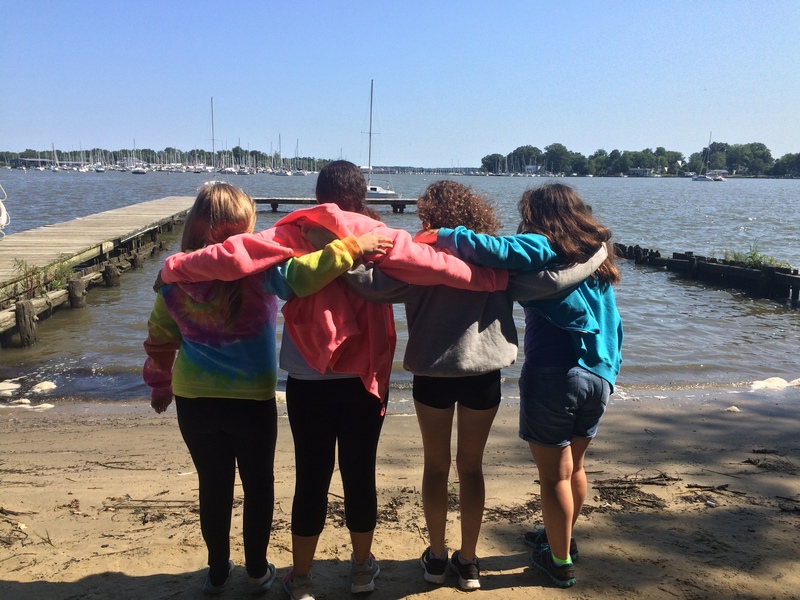 86% of campers agree/strongly agree camp had a significant impact on their life. Young people are smartphone and social media natives. They have never known the world without these tools. As a result, they are at greater risk of losing the richness of life by letting technology control them instead of the other way around. I give thanks for the opportunity our Retreat & Camping Ministries programs offer to challenge this cultural and social trend. A summer camp experience at West River , Manidokan , or Harmison helps young people more freely grow into the strong, independent, brave, connected, and caring people God created them to be. And there’s no app for that. Chris Schlieckert is the Director of Retreat & Camping Ministries for the Baltimore-Washington Conference of the United Methodist Church and the Director of The West River Center. He has worked full-time in the camping industry since 2004. Chris is passionate about changing the world by developing confident and compassionate young people through retreat and camp experiences. Chris is married to a United Methodist pastor and together they have two daughters.